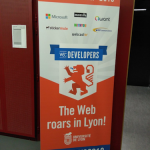 Taking advantage of the presence of world renowned Web experts attending the TPAC18 week last October in Lyon, the W3C developer relations team organized a developer meetup featuring five prominent speakers and twelve demonstrations. 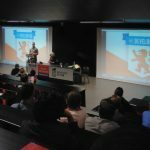 Hosted by the University of Lyon, this event was made possible with the support from Qwant, Microsoft, Mozilla, NTT Communications, StickerMule, Webcastor and WithYou. What a successful event! About 250 participants joined us and all the rooms were instantly packed. The evening started with a first visit of the demos. These were a combination of technologies already in deployment as well as technologies still under exploration and prototyping. 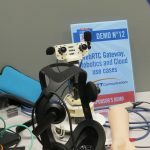 Standards-track demos included CSS Houdini, Web Authentication, Web Audio, Immersive Web, Web of Things and Web payments. As for the demos of exploratory technologies, we had IntersectionObserver v2, Machine learning for the Web, MapML and WebVMT. In addition, the event’s sponsors Qwant and NTT Communications demoed a privacy tool called “Masq” and a WebRTC Gateway, respectively. Then, everyone was invited to listen to the speakers. Each one delivered an expert talk: Rachel Andrew on CSS Layout, Ali Spivak on documenting Web standards on MDN, Manuel Rego on how to participate in the CSS specs development, Tristan Nitot on privacy and online services, and Richard Ishida on making the Web truly world wide. 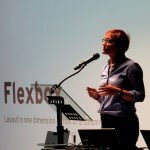 The five presentations are linked from the meetup page, and it is now possible to watch the talks since they were recorded by Webcastor, a Lyon-based video company. We are also thankful that Qihoo 360 Technology Co Ltd. created the English captions and translated Chinese subtitles. 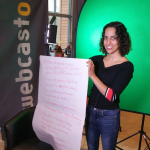 Find these videos and many other ones on W3C’s Vimeo page! 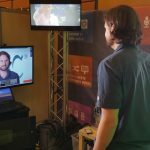 In particular, check the short videos of Web experts shot during the TPAC week: Luke Wagner on Web Assembly, Fantasai on Spec editing best practices, Ada Rose Cannon on WebVR, etc. 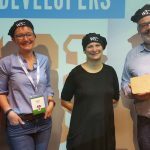 Please follow us on @w3cdevs to find out more about an upcoming W3C’s staff and members presence in your region, to track new Web technology development, and to understand how to contribute to W3C work. 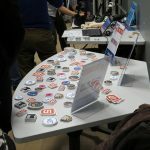 In any case, mark your calendar now: the next W3C developer meetup, co-located with TPAC2019, is scheduled for Monday 16 September 2019, in Fukuoka, Japan. Stay tuned!